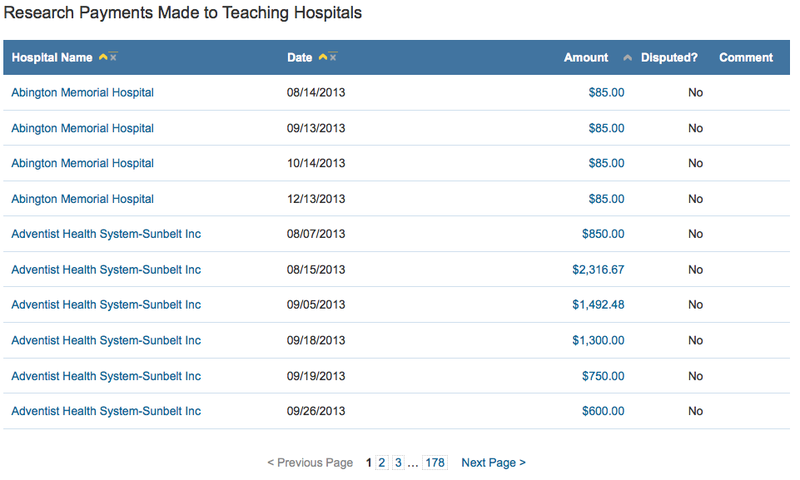 "Sometimes, doctors and hospitals have financial relationships with health care manufacturing companies. These relationships can include money for research activities, gifts, speaking fees, meals, or travel. The Social Security Act requires CMS to collect information from applicable manufacturers and group purchasing organizations (GPOs) in order to report information about their financial relationships with physicians and hospitals. Open Payments is the federally run program that collects the information about these financial relationships and makes it available to you." 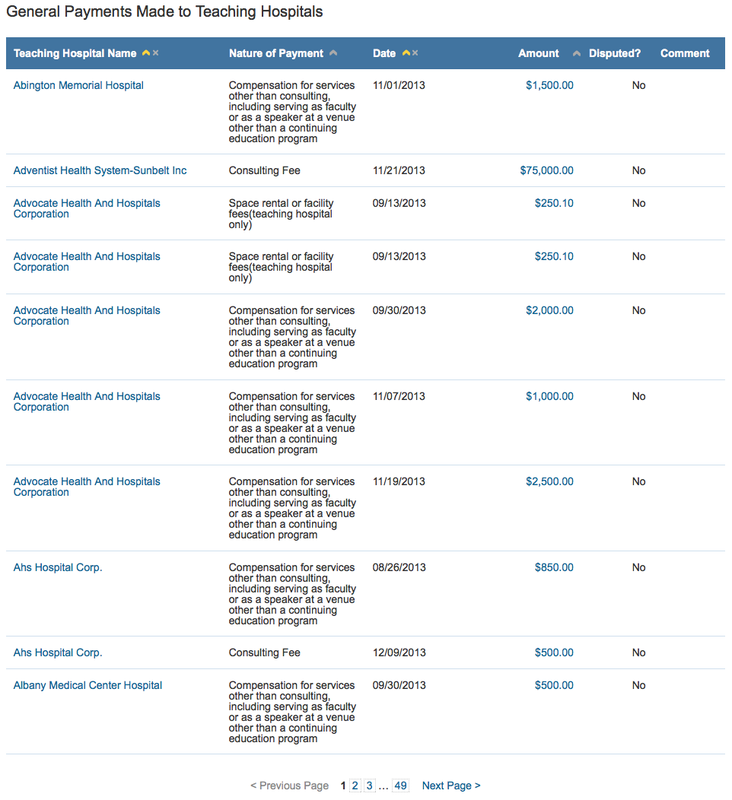 The act requires manufacturers of drugs, medical devices and biologicals that participate in federal health care programs to report payments to physicians as noted above when cumulative payments have a value of over $100 or items that have a value of less than $10 which must be included if the aggregate value is $100 or more. 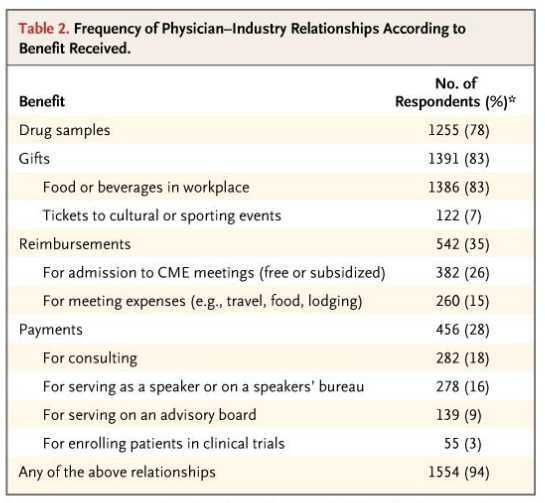 The first data was made available to the public in late September 2014 and, as of December 19, 2014, the total value of "financial relationships" between the health care system and the health care manufacturing sector totalled $3.7 billion with data published on 366,000 physicians, 900 teaching hospitals and 1228 applicable manufacturers and group purchasing organizations. 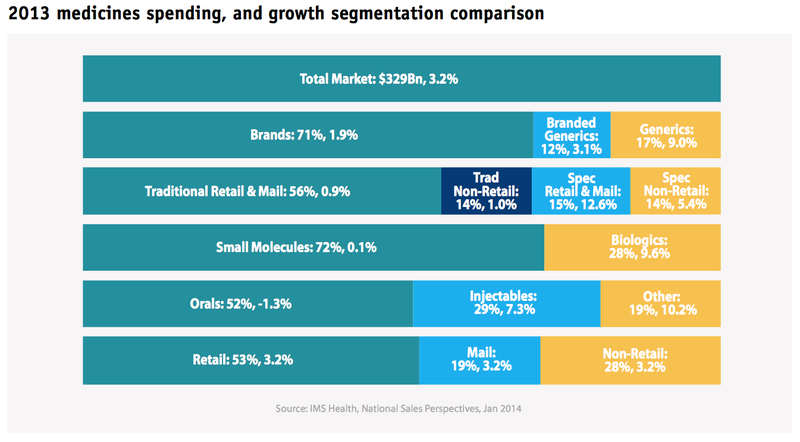 American consumers spent a total of $232 billion or branded drugs and $97 billion on branded and unbranded generics. This is an increase of 3.2 percent over the previous year. 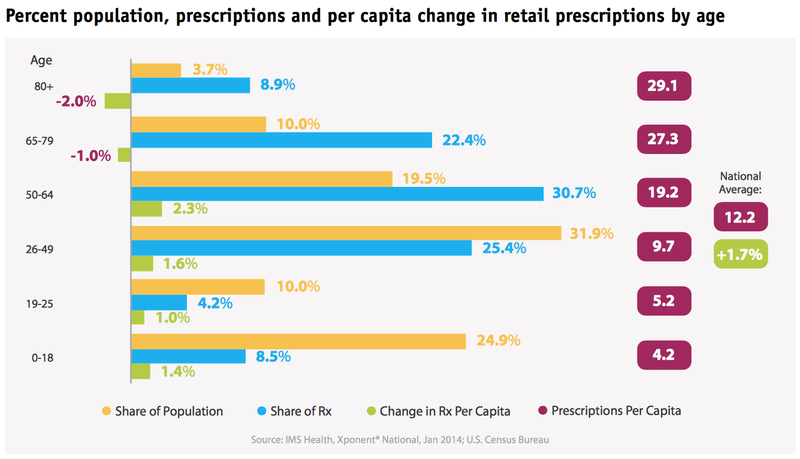 Overall, American per capita consumption of pharmaceuticals rose by 1.7 percent on a year-over-year basis to 12.2 prescriptions per capita. Seniors over the age of 65 who make up 13.7 percent of the total U.S. population use 31.3 percent of all prescriptions with between 27.3 and 29.1 prescriptions per capita. It has been observed that physicians who meet with marketers prescribe more drugs overall and tend to more frequently prescribe branded medicines rather than cheaper generic alternatives. 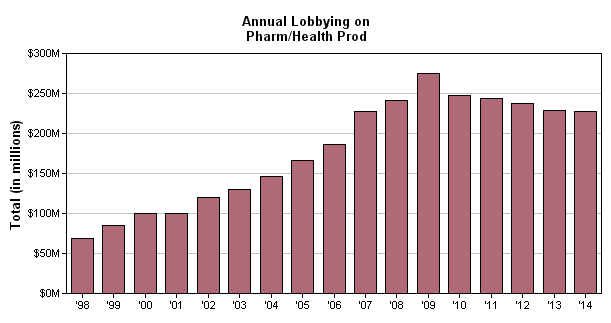 While this may seem like harmless "fun and games", ultimately taxpayers and private insurance must pay the bill for pharmaceutical industry-induced overspending. 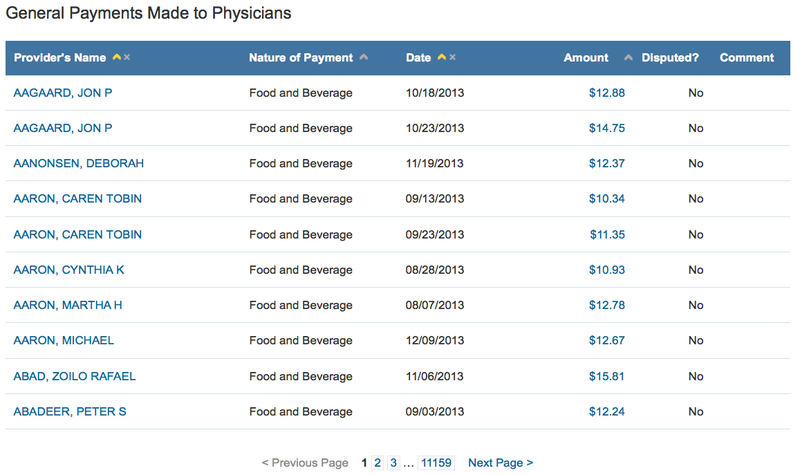 Please note that there are a total of 11,159 pages of payments made by Pfizer to physicians, a total of 49 pages of general payments made to teaching hospitals and a total of 178 pages of research payments made to teaching hospitals. In total, Pfizer made 112,073 total general transactions totalling $21,207,374.91 in general payments along with 1771 total research transactions totalling $18,286,714.72 from August to December 2013 (the first reporting cycle of the new law). 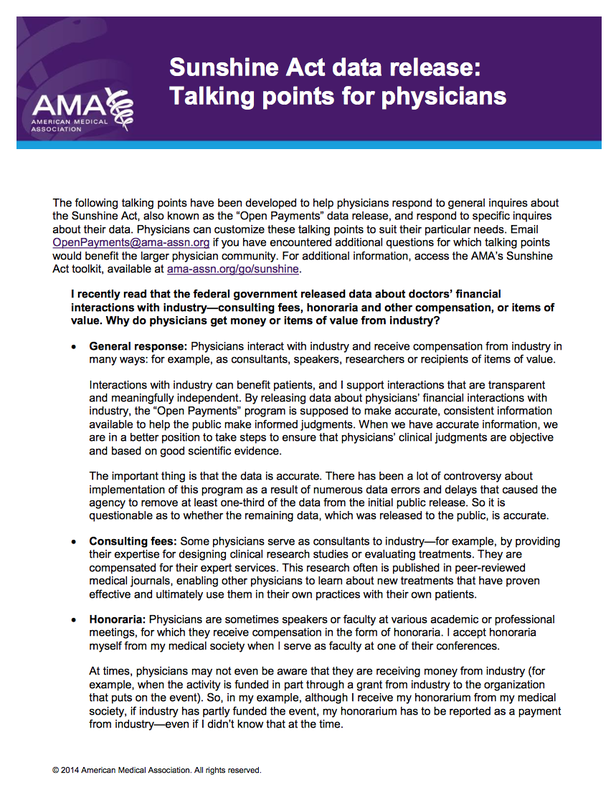 …it will be interesting to see how long the "Physician Payment Sunshine Act" remains intact. So, the next time you pick up that way overpriced prescription, please keep in mind that America's pharmaceutical industry has millions and millions of dollars to spend on lobbying and physician "marketing efforts" instead of research and development, an "investment" that partially explains why the United States has the world's most costly health care.